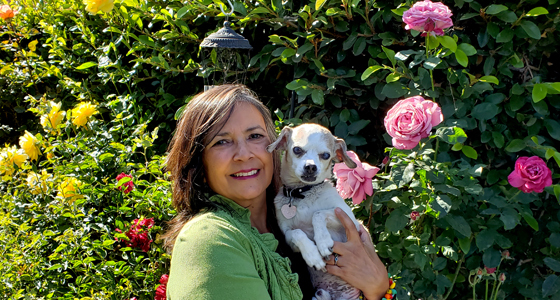 liz gonzález is the author of Dancing in the Santa Ana Winds: Poems y Cuentos New and Selected (Los Nietos Press 2018) and the poetry collection Beneath Bone (Manifest Press 2000). Her poetry, fiction, and creative nonfiction have been published widely and recently appeared in Voices de la Luna, Fire and Rain: Ecopoetry of California, Voices from Leimert Park Anthology Redux, the City of Los Angeles 2017 Latino Heritage Month Calendar and Cultural Guide, and Litbreak Magazine. She was recently featured on Latinopia.com, KUCR’s Radio Aztlan, KPCC's Unheard L.A-Baldwin Park, and The Palacio Podcast. Her awards include an Arts Council for Long Beach Incite / Insight Award, an Arts Council for Long Beach Professional Artist Fellowship, an Elizabeth George Foundation Artistic Grant, a Kimmel Harding Nelson Center for the Arts Residency, an Irvine Fellowship at the Lucas Artists Residency Program, a Macondo Casa Azul Writers Residency, and a Hedgebrook residency. She holds an MFA in English and Creative Writing from Mills College and a BA in Theatre Arts: Acting and Directing from CSU Los Angeles. 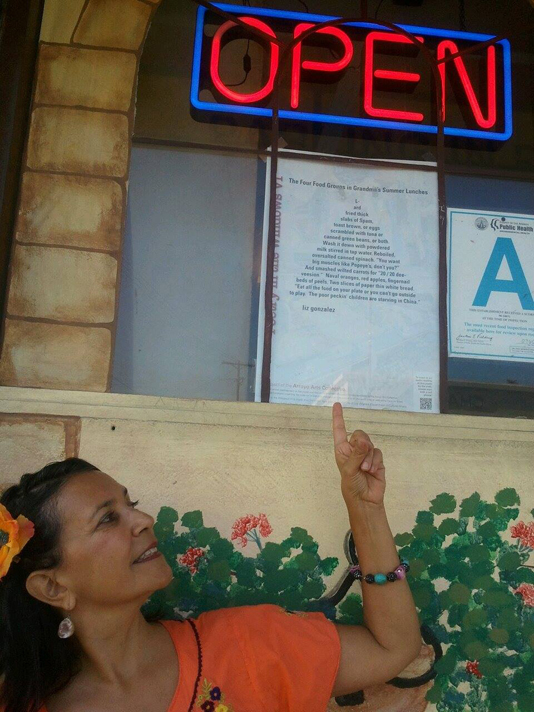 liz is a creative writing instructor for the UCLA Extension Writers' Program. For over twenty-five years, she has presented her work, given talks, participated on panels, and conducted creative writing workshops at a variety of settings, including universities, conferences, public libraries, community centers, and elementary schools. She directs Uptown Word & Arts, promoting literacy and the arts since 2015, is a member of Macondo Writers Workshop, and served on the Macondo 2018 Ad Hoc Advisory Board. liz grew up in the San Bernardino Valley, and she considers herself bi-regional: Inland Empire and L.A. County. Currently, she lives in Long Beach, California, with an indifferent Chihuahua, a talkative tortie cat, and Jorge Martin, a scientist and musician. Contact liz to have her present or conduct a workshop at your campus, conference, organization, or community center.